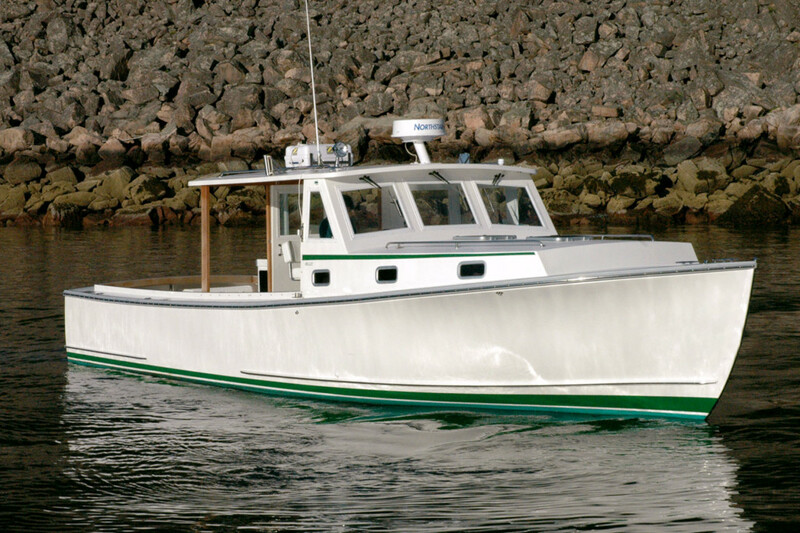 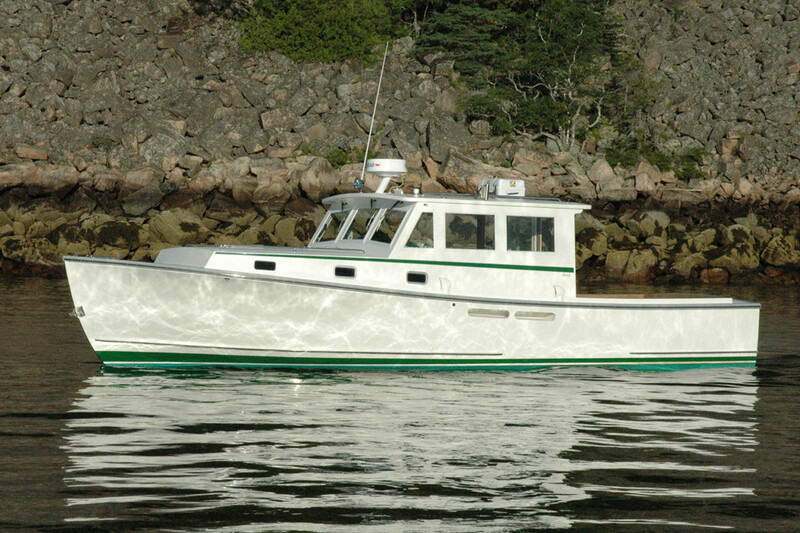 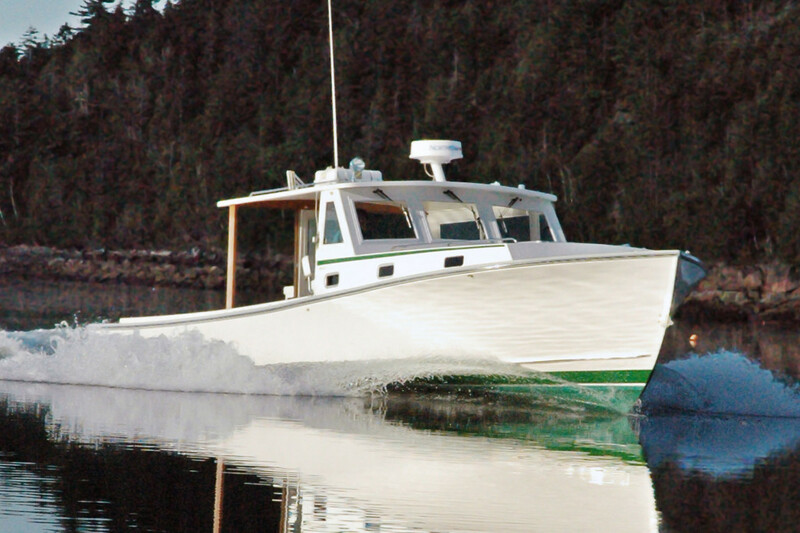 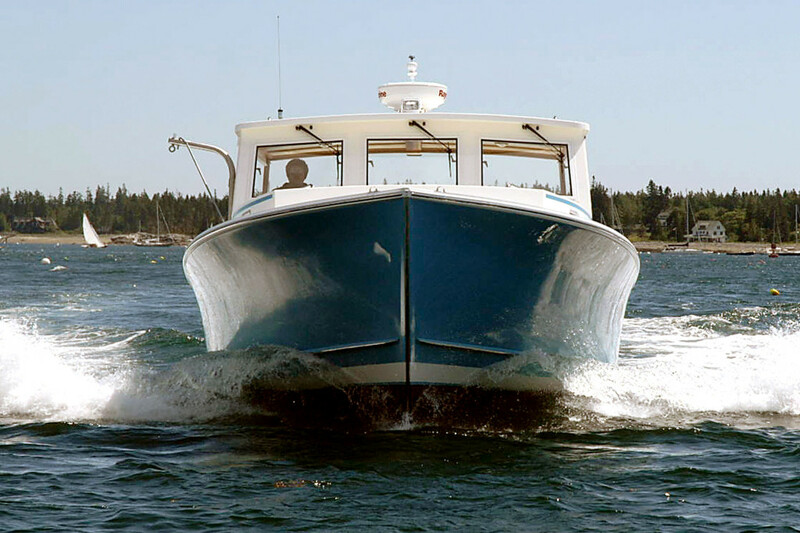 Our objective behind creating the Ellis YANKEE was to build a very traditional Downeast boat – practical, utilitarian, easy to use, and with a certain budget in mind. 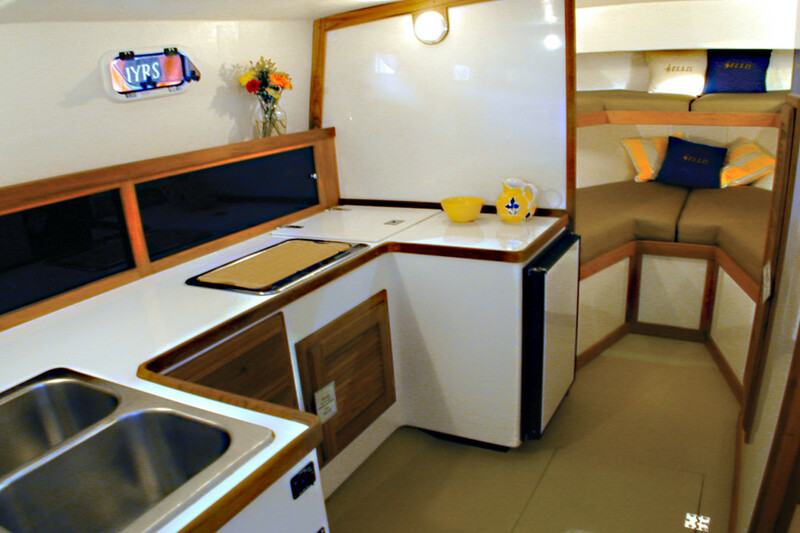 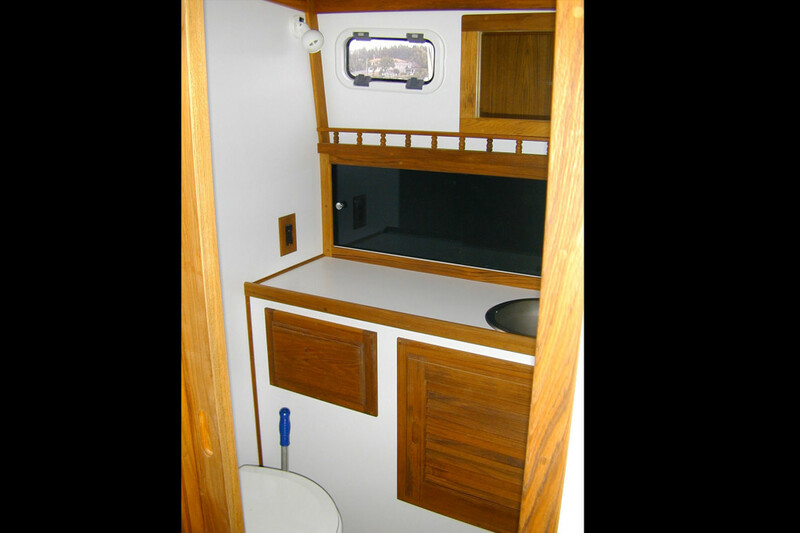 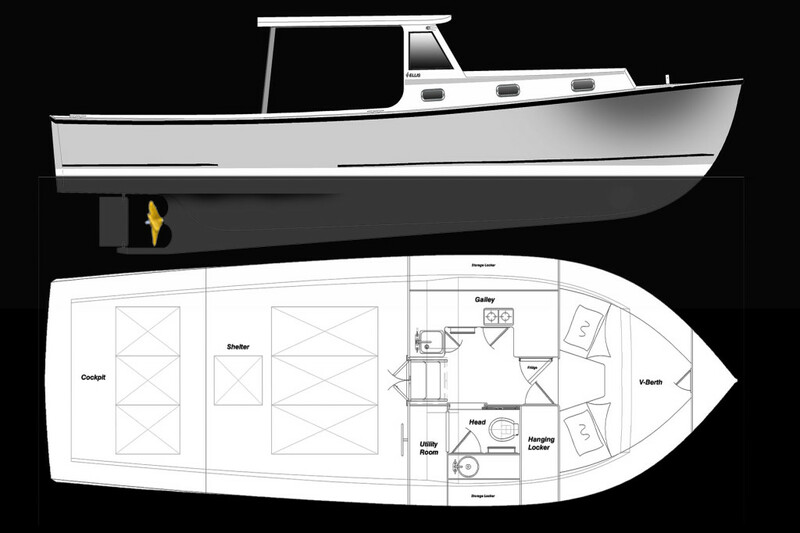 Down below you will find a simply finished cabin with v-berth, galley, plenty of storage, and enclosed head. 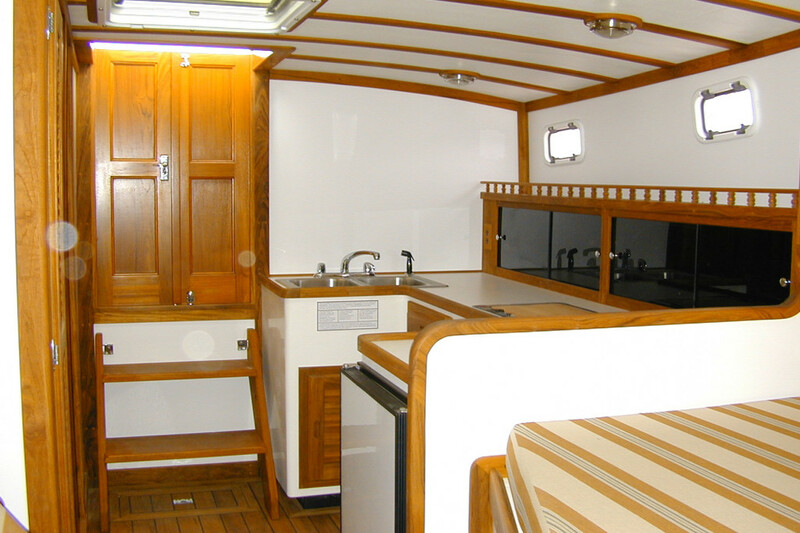 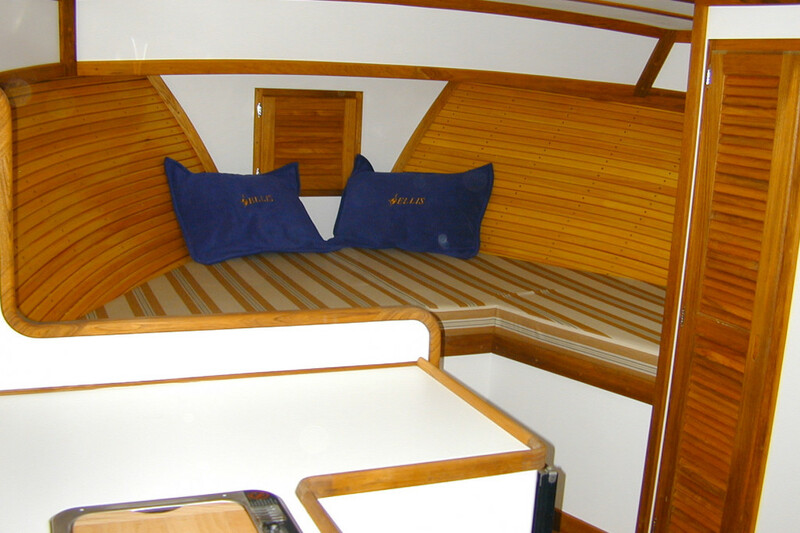 A nice finish with a bit of teak trim is included in the cabin. 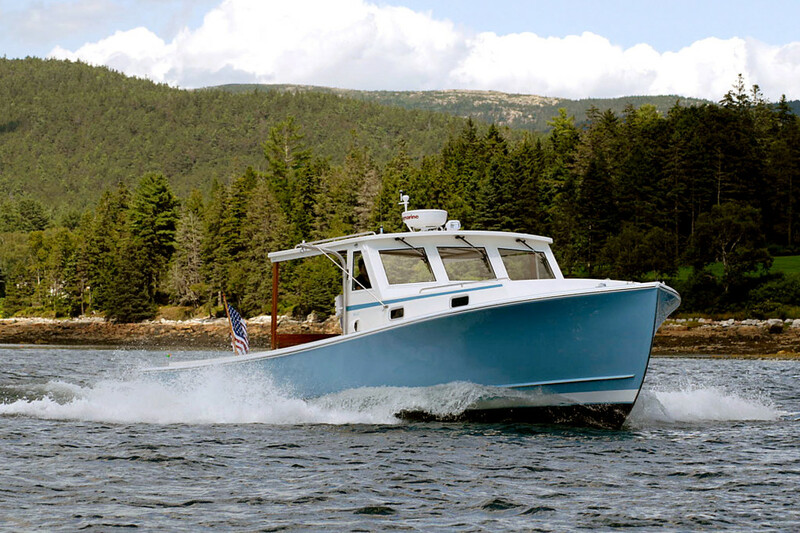 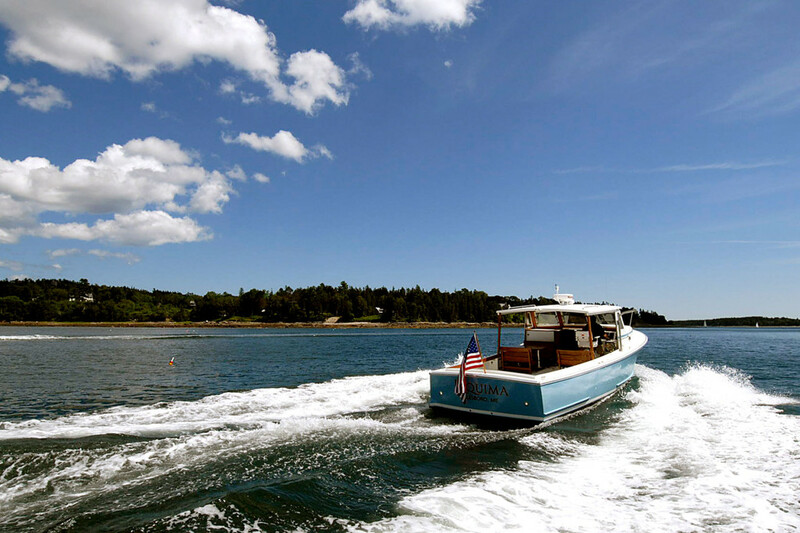 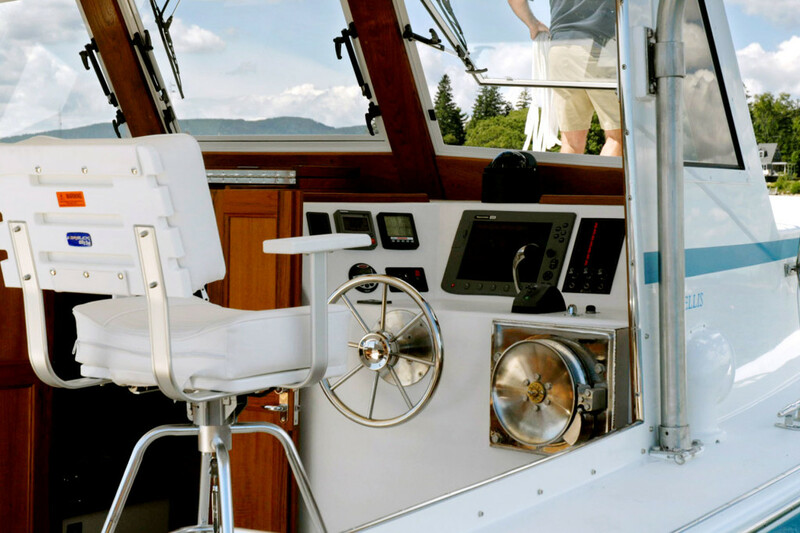 She is a clean and simple downeast cruiser, built on our semi-displacement hull, without the exterior brightwork, and without a bunch of heavy-and-expensive-to-maintain equipment.